This session will focus on assisting LTC staff to promote safe and effective continuity of care practices. We will focus on how standardized processes for communication and flow of information helps achieve this goal. 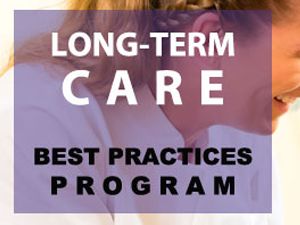 This webinar is intended for long-term care leaders to promote safe and effective care transitions and direct care staff who will benefit from reviewing the recommendations, the evidence that supports the recommendations and the process to implement evidence-based practices.